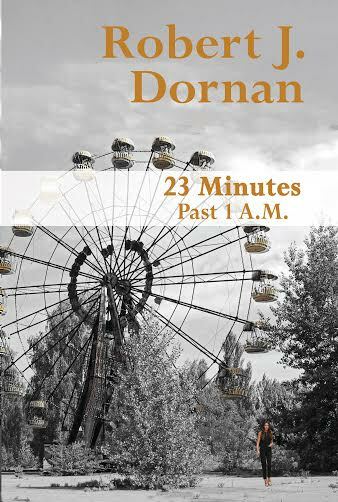 We're thrilled to be hosting Robert J. Dornan during his 23 Minutes Past 1 A.M. virtual book tour! Please leave a question or comment below to let him know you stopped by! Title: 23 Minutes Past 1 A.M. In the early morning of her sister's wedding day, Mila Kharmalov stared in stunned silence at the coloured sparks streaming from Reactor Four of the Chernobyl Nuclear Plant. At that very moment, her life and the lives of everyone she knew changed forever. Years later and on another continent, Adam Byrd was writing biographies for everyday people looking to leave their legacy in book form. When the woman he loved phoned from Kiev offering him the chance to write the story of a lifetime, he jumped at the opportunity not realizing that his voyage would be a bumpy ride through a nations dark underbelly. With the help of his friend's quirky cousin, Adam is nudged into a fascinating adventure of love, greed, power and psychotic revenge, culminating with a shocking finale. 23 Minutes Past 1 A.M. is a work of fiction based on factual events from Chernobyl and villages throughout Ukraine. 23 Minutes Past 1 A.M. is available at Amazon.. The nurses at the reception desk were told not to stare at the late night visitor. He was a Ukrainian hero and deserved the highest level of respect. He arrived at midnight wearing sunglasses and a hoodie that covered most of his face. He said his name and the three nurses stood to welcome him as if honored by his presence. He was then led to Tania’s room. A wall light was lit above the bed. He didn’t recognize her. Twenty-seven years had passed since the last time they spoke. Tania was worried that Yuri would miss their wedding. He told her not to worry. She could have had a huge ceremony if he had not been so naïve with Asimov. If he had said no to the Colonels request, Yuri would still be alive. Tania didn’t know this part of the story. She didn’t know the love of her life agreed to dive into the radiated water to protect his best friend. Samizdat adored the sisters but the government-owned newspapers wrote horrible articles about them. He plowed their path and never admitted so. Tania disappeared into obscurity, visited only by curious weekend thrill seekers. She has no hair and her skin is yellow. Alex pulled a chair next to the bed and touched her hand. She groaned but her eyes remained closed. “I don’t know where to begin. I’m hoping you don’t open your eyes to see me speak. To watch the hurt in your eyes would be more painful than the burns on my face. I abandoned you Tania. I abandoned you to hide from life…and to hide from you. My memories of the days before the explosion are what allow me to wake each morning. They are my life force and I owe this to you and Yuri. Without the two of you, I would have been a lonely man with few true friends. “I thought you were dead,” Tania whispered. A startled Alex let go of her hand and almost tumbled off his chair. “I’ve awoken you,” he said between excited breaths. Alex tugged on the top of his hoodie and lowered his head. He dared not remove his sunglasses fearing he would startle Tania. A patient on the other side of the room exhaled a long painful groan. This was followed by a seemingly chorused shuffling by the other patients. He closed his eyes. Everywhere he visited, there was suffering. It followed him like a shadow. Tania repeated her question. Robert J Dornan is someone who wishes to leave a better world to his children. He realizes that the odds are slim but he will do whatever he can to increase the probability of success. He is always open to discuss new and innovative ideas and hopes someday to see the building of a functional solar city as well as a fair and community-driven compensation system. 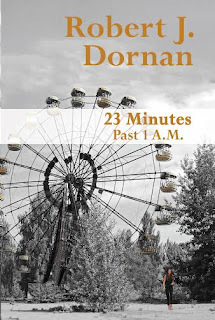 Robert’s latest book is the historical fiction, 23 Minutes Past 1 A.M.
Visit Robert J. Dorman’s website. 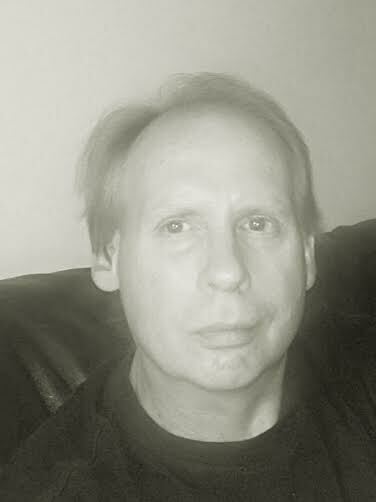 Connect with Robert on Facebook and Twitter.